You'll have about 11 hours of daylight per day to explore Los Angeles in October. That's plenty of time to see a lot. Even better, you can go almost anywhere without running into the summer vacation crowds. It will be cooler than in summer, with clearer skies and better air quality. Sadly, traffic knows no season although local lore says the rush hour gets better after the kids go back to school. Good weather is common in October - and smog season winds down. The only place you'll find fall colors is in a sunset, but you'll still have warm days with little chance of rain. Start with the average weather for advance planning, but keep in mind that temperatures vary by as much as 10 to 15 degrees across Los Angeles depending on how close you are to the ocean and whether you're in a valley or on top of a mountain. Unlike other parts of the country (and the world), Los Angeles October days aren't those chilly, snuggle-up-in a sweater kind you might be used to. In fact, if you think it's summer when temperatures top 70 degrees, you may be comfortable in shorts and a tank top in much of LA. That is, if you don't mind a few of the "that person definitely doesn't live here" looks from Angelenos who are happy for a break after a long, hot summer. As far as style goes, almost anything is OK but you could follow a few LA Instagram stylistas if being "on trend" is important to you. Always take a jacket if you're going to a beach town in the evening. It will be cooler there than you expect. Bring short-sleeved shirts and lightweight pants, with a warmer layer. Bring the shorts, but they may stay in the suitcase. Although summer is peak time for outdoor concerts, the season at Hollywood Bowl, Ford Amphitheatre, and the Greek Theatre runs through October. JazzTrax Festival: Held on Catalina Island, it draws visitors from some pretty far-flung places - and is a lot of fun if you like the music. The semiannual Brewery Art Walk gives you a unique chance to explore the place where more than 100 participating resident artists live and create. You can see new works, discover new favorites, speak with the artists and purchase artwork directly from the artists' studios. And best of all, it's free. 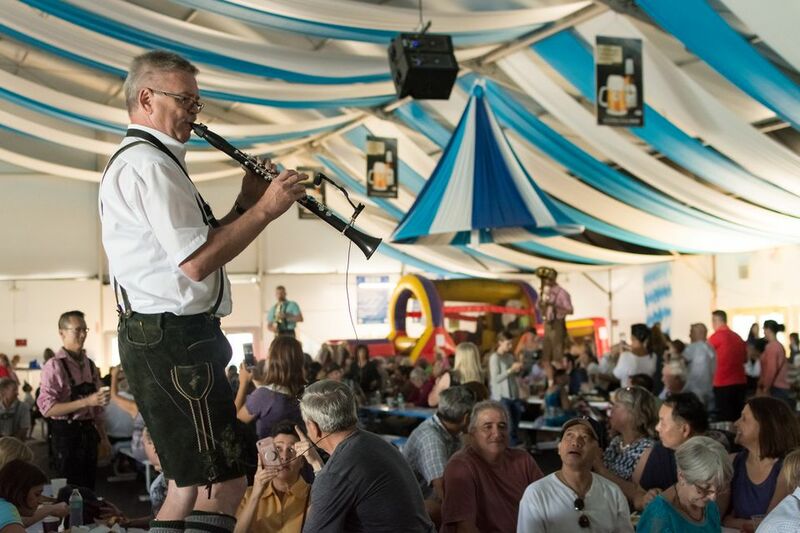 Oktoberfest: Alpine Village in Torrance and Old World Village in Huntington Beach celebrate German food, culture — and beer. David Lynch's Festival of Disruption brings together his favorite artists "to expand our consciousness through creativity" according to its website descriptions. events include screenings, music, and talks with filmmakers. It's held at the Ace Hotel downtown. Day of the Dead in LA: The Mexican celebration of All Souls Day happens around the same time as Halloween. On the surface, it has some similarities with emphasis on the dead and lots of skeletons, but beyond those superficial things, the cultural differences are huge – and interesting. Some of the best places to enjoy it include the Los Angeles Day of the Dead at Hollywood Forever Cemetery, Riverside Day of the Dead and the annual Day of the Dead tour in Tijuana offered by Turista Libre Tours. Halloween in the Los Angeles Area: Halloween is a big holiday in the entertainment capitol of the world, with events from large to small. The best reason to go to Disneyland at Halloween is for the seasonal rides and decorations, and you can also get dressed up in a costume and go to Mickey's Halloween Party. Universal Studios hosts the scream-filled Halloween Horror Nights, and Knotts Scary Farm is a bunch of fun.Beyond the theme parks, you can use the LA section of the guide to Halloween in California to find more Halloween-themed things to do. For any Halloween event that requires a ticket, buy as far ahead as you can. Many of them sell out as early as late August. The same is true for October concerts by well-known performers at the big concert venues. Consider a fall side trip to the cute little town of Julian for apple-picking and fall foliage. Otherwise don't expect much in the way of colorful leaves in the metro area.